I don't get chocolate Easter bunnies. If I end up eating the whole thing I'm probably going to regret it. But there's something about this picture that I like very much. And... I have discovered Sushimob. Good band. Check 'em out. I woke up around noon earlier and went out to watch some TV with my brother. The phone rang, and I had to get it because my brother is an idiot and won't answer it if I'm around. Anyway, it was my mom, and I told her I felt sick. So then she immediately goes on about making CHICKEN broth for me. I was like "NO! I'm a freakin' VEGETARIAN mom!" But she's all "This is NOT the time to be a vegetarian! Chicken broth has healing properties blah blah blah!" Ugh. Unlike some people, when I make a commitment I stick to it. My mom is a really bad example/influence sometimes. I was going to put a different picture here, but it came up with this instead. If you haven't read this book, it's about small children dying in various ways. And it's like an alphabet book. Like Anna, Bill, that kind of stuff. Only more inventive names. And a lot more morbid. 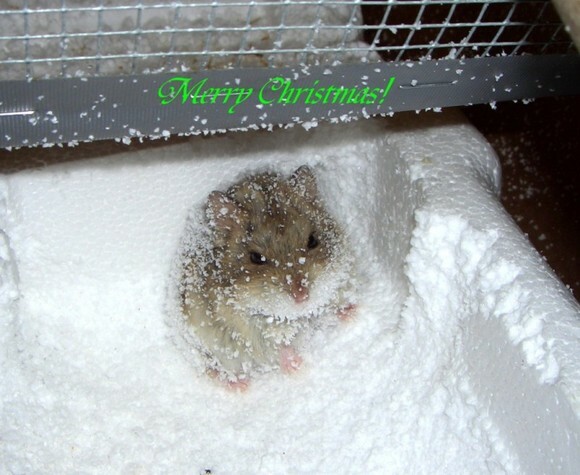 The hamster in the picture is the late Squeaky. Who is this seventeen year old boy commenting on my Xanga? Why does he want to know about me? How did he find my Xanga in the first place? At the local mall there's a maternity wear shop called "Pea in the Pod"
I asked my mom "so, the baby is the pea and the mom is the pod?" "But what are the other peas?"